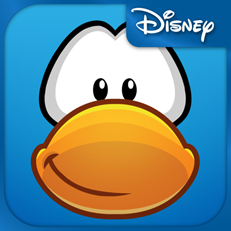 Disney’s Club Penguin, the #1 virtual world for kids, is coming to iPad today with the new My Penguin app available for free download. With the app, Club Penguin’s millions of players will be able to access some of their favorite games and activities from the virtual world and earn coins and items for their penguin on the go. When connected to Wi-Fi, My Penguin will sync with the virtual world in real-time, allowing players to transfer items and coins that they earn in the app and customize their penguin avatar. And for the first time, players will be able to easily access the popular Club Penguin Blog and video channels together in one place. Current players will be able to quickly login using their penguin name and password from the virtual world, while new players will be able to create a penguin within the app itself. My Penguin will feature four of the most popular games from ClubPenguin.com including Pufflescape, Puffle Rescue, Puffle Roundup and Ice Fishing. Additionally, the app will feature an all new game for mobile, Sushi Drop, which will give players the chance to win coins, bonus items and treasure. Penguins can also shop for the latest fashions in the My Penguin ‘Penguin Style’ catalog. Players will have the opportunity to access mobile exclusive items and then sync them with their ClubPenguin.com account.